Coincidentally, three of my recent reads have been set in France, so I thought I would combine my thoughts on them into one French-themed post. It’s a good way for me to get through my review backlog too! Mediterranean Summer by Jane MacKenzie was a nice surprise; a book I knew nothing about, by an author I’d never come across before, but one that I ended up really enjoying. It tells the story of Laure, a young art student who finds herself caught up in the excitement of the 1968 student demonstrations at her university in Paris. When the rebellion is over, with her future as an artist in doubt due to her involvement in the protests, Laure returns home for the summer to her parents’ house in the Mediterranean village of Vermeilla. Here, in the small Catalan community of her childhood, she is reacquainted with old friends as well as making new ones – and with the help of Robert, a lawyer, she begins to search for a way to rescue her career. This is a lovely summer read; the descriptions of the fictional Vermeilla and the surrounding area are so beautiful I wished I could go and spend the rest of the summer there myself! There’s an interesting selection of characters to get to know too, mostly very likeable, but with one or two who could be considered villains. As for the historical background, I knew almost nothing about the Paris student protests in the 1960s, so I learned something new there, and I was also interested to read about the Nobel dynamite factory in Paulilles and the shocking lack of regard for the health and safety of the employees. 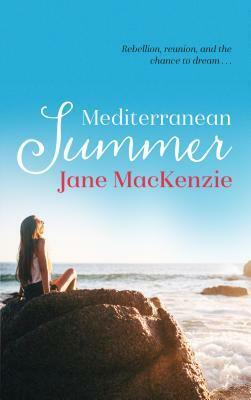 I loved Mediterranean Summer and would be happy to try Jane MacKenzie’s previous novels. The next book I want to talk about takes us further back in time, to the French Revolution. Published in 1917 (originally titled The Third Estate), Eugenie by Marjorie Bowen introduces us to two sisters, Eugenie and Pélagie Haultpenne. Pélagie, the eldest, is heiress to a fortune and, at the beginning of the book, is engaged to a handsome young nobleman, the Marquis de Sarcey. 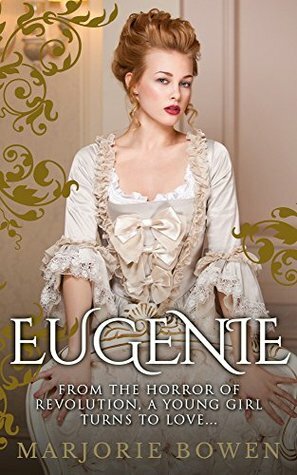 As soon as the Marquis sees her beautiful sister Eugenie, however, Pélagie is forgotten. Can he find a way to be with Eugenie without giving up his claim to the Haultpenne fortune? Finally, I read A Week in Paris by Rachel Hore, a dual timeline novel. 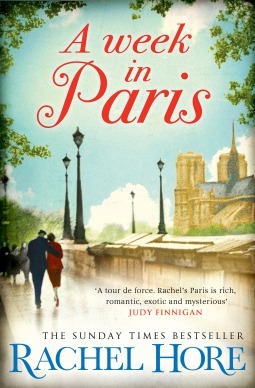 One thread of the story is set in 1961 and follows music student Fay Knox who is in Paris for a week with her orchestra. Fay has grown up knowing very little about her early childhood as her mother refuses to talk about it or to tell her what happened to her father, other than that he was killed during the war. However, when memories start coming back to her, she has reason to believe that the first years of her life may have been spent in France. Over the course of her week in Paris, Fay decides to find out the truth about her past – and is shocked by what she discovers. Meanwhile, she is reacquainted with an old friend, Adam, but could he also be hiding secrets? The other storyline is written from the perspective of Fay’s mother, Kitty, who falls in love with Gene, an American doctor, during World War II. The two end up trapped in occupied Paris – and their actions during this period will have consequences that live on into the next generation. I found this an enjoyable novel, after a slow start, though not as good as similar books by other authors such as Lucinda Riley or Susanna Kearsley. The 1940s storyline is much more engaging than the 1960s one, not just because of the drama of the war itself, but also because the romance between Kitty and Gene is more convincing than the one between Fay and Adam (and less reliant on coincidence and chance meetings). I really cared about what happened to the wartime characters and was gripped by the details of life in a city under Nazi occupation, but I wouldn’t have minded if the framing story involving Fay had been left out altogether. Three very different books, but I found different things to like about all of them! Thanks to Jane MacKenzie for the copy of Mediterranean Summer; the other two were both taken from the outstanding titles on my NetGalley shelf. Lovely idea for a themed post! The first one in particular sounds really good. Yes, the Jane MacKenzie book was lovely – and although I don’t usually choose books based on the season, it was a perfect read for summer! I didn’t intend to read three books this month with a Paris link, but when I noticed the connection it made sense to group them together in one post. 🙂 I can think of a few people who fit that description too! I’ve read quite a few books published by Endeavour Press and a lot of them have had hideous covers, but that must be one of the worst! It sounds like, of the three, I would like Mediterranean Summer best. I liked that one the best of the three too. Three novels set in France! Even if they were not all great, it sounds like a summer vacation via reading!